Misfit teen Lola Lundy has every right to her anger and her misery. She’s failing in school, living in a group home, and social workers keep watching her like hawks, waiting for her to show signs of the horrible mental illness that cost Lola’s mother her life. Then, one night, she falls asleep in a storage room in her high school library, where she’s seen an old yearbook—from the days when the place was an upscale academy for young scholars instead of a dump. When Lola wakes, it’s to a scene that is nothing short of impossible. Lola quickly determines that she’s gone back to the past—eighty years in the past, to be exact. The Fall Frolic dance is going full blast in the gym, and there she makes an instant connection with the brainy and provocative Peter Hemmings, class of ’24. His face is familiar, because she’s seen his senior portrait in the yearbook. By night’s end, Lola thinks she sees hope for her disastrous present: She’ll make a new future for herself in the past. But is it real? Or has the major mental illness in Lola’s family background finally claimed her? 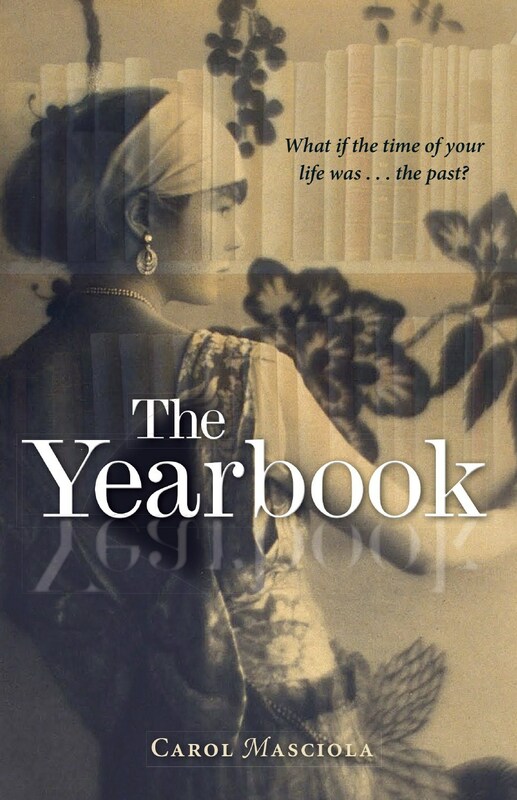 Has she slipped through a crack in time, or into a romantic hallucination she created in her own mind, wishing on the ragged pages of a yearbook from a more graceful time long ago? The blurb of this book was one that immediately made me want to read this book, so when I had the opportunity to do so, I immediately found myself drawn into the plot. I found Lola to be an interesting character to learn about… but I would have liked more details about her mother, especially with the theory that was suggested later on in the book. I thought it was interesting to see how easily Lola fit into the past. I did, however, feel that the relationship between her and Peter grew a bit too fast. I liked both her and Peter as characters, but I would have liked to see their romance develop a bit slower and more naturally. I thought that Whoopsie was a really intriguing character and it was nice to see her friendship grow with Lola. I did think that there was a lot that was glossed over when it shouldn’t have been in the book, though, and I would have liked to see it expanded. I felt that quite a few of the secondary characters weren’t really developed as well as they could have been. I really didn’t like Danielle… and I thought that the police and social worker listening to her towards the end of the book was extremely unprofessional of Mrs. Hershey. I was, however, left with the feeling that all of this was in Lola’s head for a lot of the book… and I thought the reports of her behaviour added an interesting dimension to the storyline. I liked the old woman Lola seemed to become friends with, though there was a bit of head-hopping in the POV that made the book a bit more difficult to read at times. I did also think that Lola’s ‘instinctual voice’ seemed a bit odd and didn’t really fit in with the rest of the plot. I did like the ending of this book, though there were a few questions that were left unanswered and I didn’t really understand what all the rules were. Even so, I did find this really easy to read and I would be interested in reading more books by this author in the future. 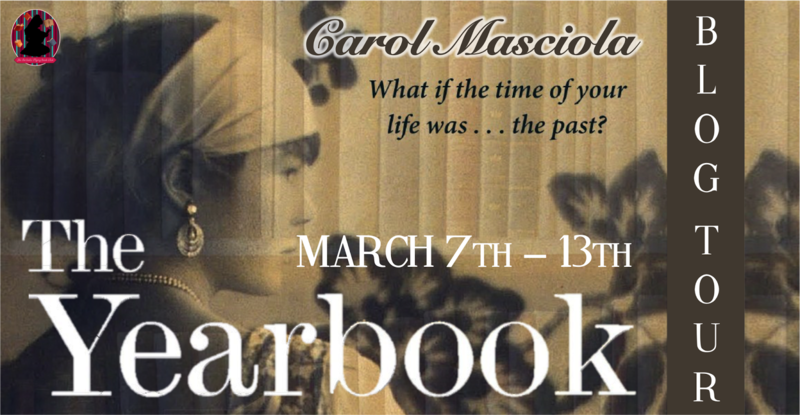 Carol Masciola got the idea for her novel The Yearbook (Merit Press, Nov. 2015), after inheriting a 1924 yearbook that had belonged to her grandmother. 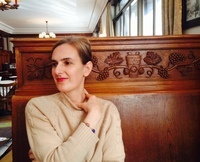 She is a former newspaper reporter and winner of the PEN/West Literary Award in journalism. Two of her screenplays, THE FIERY DEPTHS and THE UGLY STICK, are in development. She is a graduate of Oberlin College.